Solution: Consider this aqueous reaction. 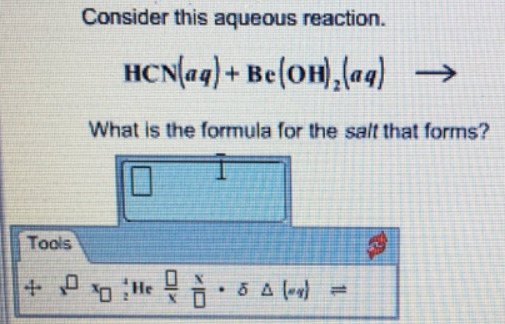 HCN (aq) + Be(OH)2 (aq) →What is the formula for the salt that forms? What is the formula for the salt that forms?